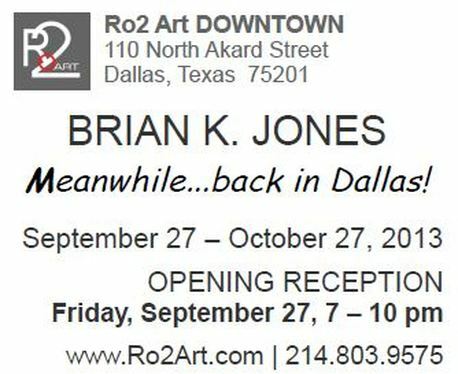 Brian Keith Jones, one-half of the famed Dallas collective, Chuck & George, presents his first-ever solo exhibition. Meanwhile . . . back in Dallas, is set around animations made from paintings of the Legendary Big Tex, with a twist. The artist will present a film, at 24 frames per second, made from fifty individual paintings, which will also be on display. The exhibition, part homage, part freak-show, will offer many unexpected visual and sensory delights Meanwhile .... back in Dallas is a must-see for anyone who delights in the campy tradition of The State Fair of Texas.